There is an almost cartoonish abstraction to this understated suit, with its crisp A-line skirt and simple boxy jacket enlivened by a pocket which was placed off center and is thus purely ornamental. 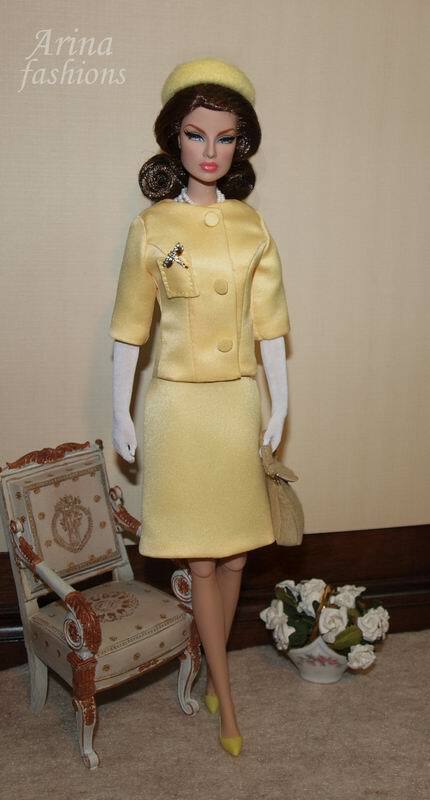 This suit was a favorite of Mrs. Kennedy’s, and its foreign debut was at a luncheon held at the Elysee Palace, official residence of the president of France, to welcome her to Paris. Later that day she accompanied Mme de Gaulle to the city’s Institut de Puericulture, a nursery school that was of special interest to the French first lady. 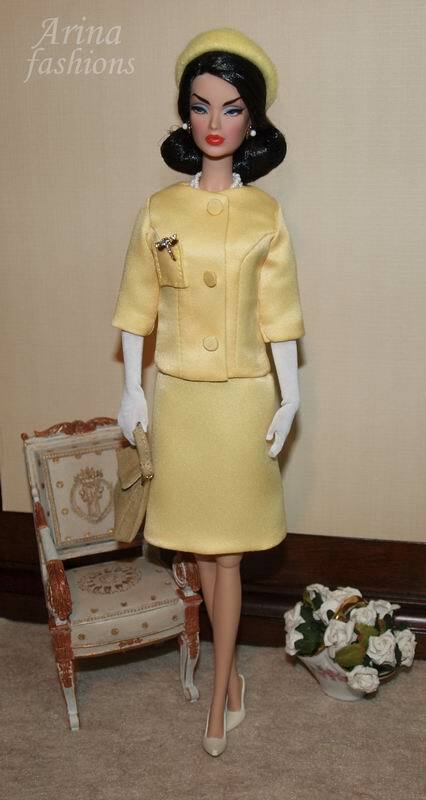 Outfit for Silkstone Barbie, Poppy Parker, Monogram dolls, Victoire Roux, FR2, second and third generation Fashion Royalty dolls. 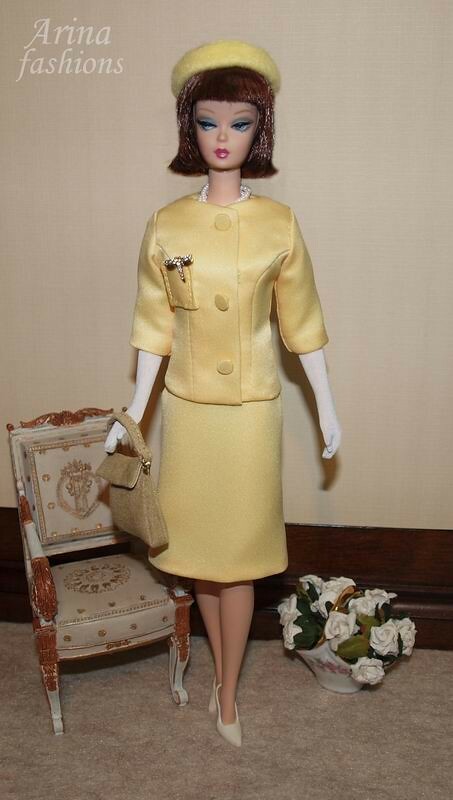 This fashion includes the jacket, skirt, gloves, earrings, necklace, pin, hat and purse (opening).